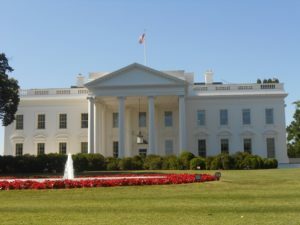 Highlights: Visit Washington (White House, US Capitol, Jefferson Memorial, Korean War Veterans Memorial, Lincoln Memorial, National Air and Space Museum, Smithsonian Institution, Vietnam Veterans Memorial). After guests have been picked up from the specified departure location, we will spend the the day touring Washington, DC. Our first stop of the day will be the US Capitol. Though the White House is closed to visitors, we will still be able to take photographs of its exterior. 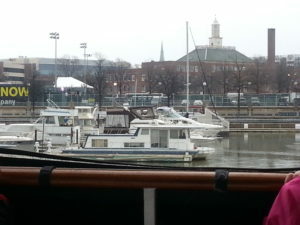 Highlights of the tour include an optional Potomac River Cruise and visits to all of the major monuments, such as the Lincoln Memorial, Vietnam War Memorial, and Korean War Memorial. We will also delight in visits to the National Air and Space Museum, National Museum of Natural History, and Smithsonian Institution. Afterwards, guests will be dropped off to bring an end to this tour. Please see “Departure and Return” for more detailed information regarding pickup and drop-off times and locations. Inside Visit US Capitol (Inside Visit) The famous United States Capitol is the meeting place of the US Congress, and has been for more than 200 years. The building is famous for its elaborate dome and intricately designed, detailed columns. 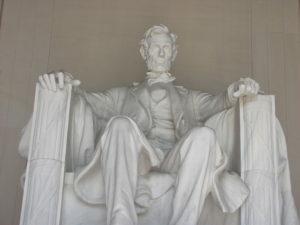 Always Visit Lincoln Memorial This iconic American monument honors the 16th president of the United States. Abraham Lincoln was president during the American Civil War, and is most famous for the Emancipation Proclamation that freed all of the slaves in the US. Always Visit Korean War Veterans Memorial This memorial commemorates those who served for the United States in the Korean War. It is located south of the Reflecting Pool at the National Mall. The simple memorial is triangular in shape will a circle at the top. Always Visit Vietnam Veterans Memorial This memorial in Washington, DC serves as a place to remember the American soldier who were lost or killed during the tumultuous Vietnam War. Originally controversial in design, the simple memorial has become a shrine for the American people. Always Visit National Air and Space Museum One of the Smithsonian Institute’s museums in Washington, DC, the National Air and Space Museum chronicles the history of flight. From the Wright Brother to Buzz Aldrin, the exhibits at this museum explore all of humanity’s air travels. Opening Hours: Open daily except December 25 Always Visit Smithsonian Institution Centered on the National Mall, the Smithsonian Institution is a series of museums dedicated to research and spreading knowledge. Some of the most notable Smithsonian museums are the National Air and Space Museum and the Museum of American History. Opening Hours: Mon – Sun 8:30am – 5:30pm Passing By Jefferson Memorial (Passing By) The Thomas Jefferson Memorial is a memorial to the third president of the United States. The impressive building is neoclassical in design and has been standing since 1943. It sees more than two million visitors every year.It’s only available during the Cherry Blossom time. Always Visit White House The world-famous White House in Washington, DC is the official residence of the president of the United States and the place where most of the work is done. The facade of this neoclassical mansion is a global icon. 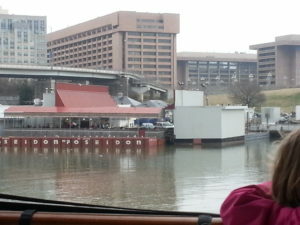 Seasonal Potomac River Cruise The Potomac River runs along Washington, DC, the capital city of the United States of America. Visitors to this famous locale can opt to see many of the area’s most historic landmarks and memorials in a unique way. A mandatory service fees for your tour guide and bus driver (Minimum $8.00/day per passenger). This should be paid in cash.